Despite its alluring backdrop and history ripe with potential, there aren't a lot of great western-themed video games. It feels like every few years a company will give it another shot, but none of them are able to rise above mediocrity. From GUN to Sunset Riders to Mad Dog McCree, one might want to throw up their hands and give up on cowboys and Indians for good. But not so fast, because the makers of Grand Theft Auto IV are ready to show you how it's supposed to be done. The result is Red Dead Redemption, an enthralling new adventure game that is a high water mark for both the western genre and Rockstar Games. Red Dead Redemption is the spiritual successor to Red Dead Revolver, the 2004 action game for the original Xbox and PlayStation 2. But don't get too caught up in the continuity, because outside of the western themes, these two games are not connected in any way. 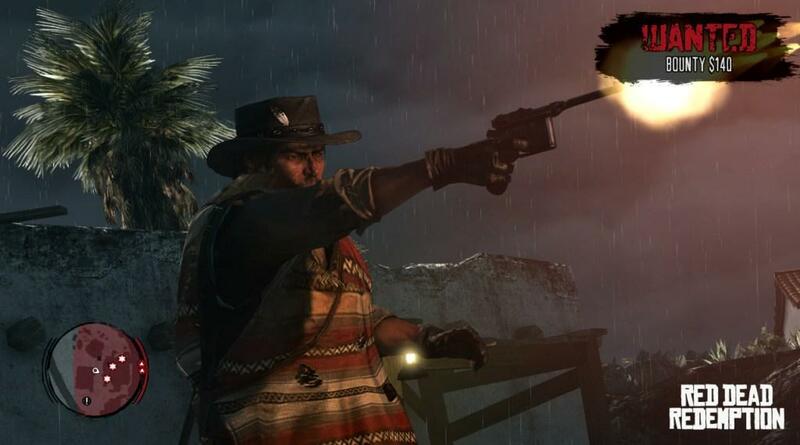 In this story we're introduced to a mysterious cowboy named John Marston. This old-time gunslinger is stuck between a rock and a hard spot, because the government has captured his family and the only way to set them free is to track down and kill the members of an old gang he used to ride with. Of course, all that is easier said than done. 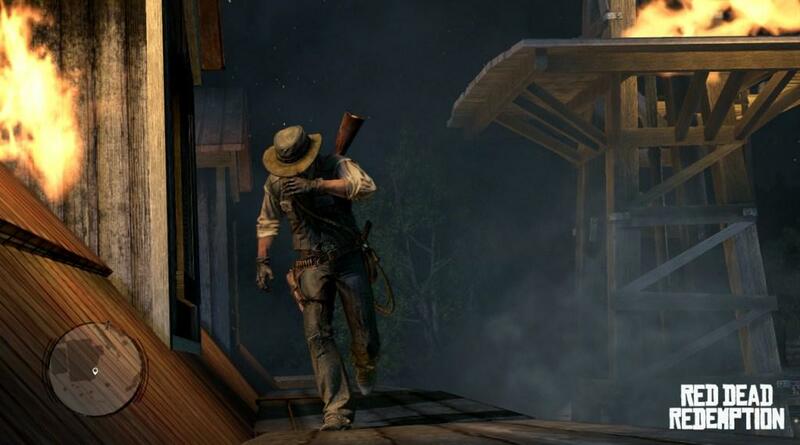 It's clear from the get-go that in order to beat Dutch van der Linde and the gang he used to lead, John is going to need to lasso up some help. It's at this point that the game turns into a traditional Grand Theft Auto-style adventure game. You're free to roam the enormous countryside, but there are always missions waiting for you when you want to advance the story. The story unravels through 57diverse missions, which will have you playing through all kinds of western movie cliches - fighting on a train, having a shoot out at a bank, saving innocent people from a public lynching, etc. You'll also find yourself performing a lot of cowboy-related jobs, such as herding cattle and taming wild horses. 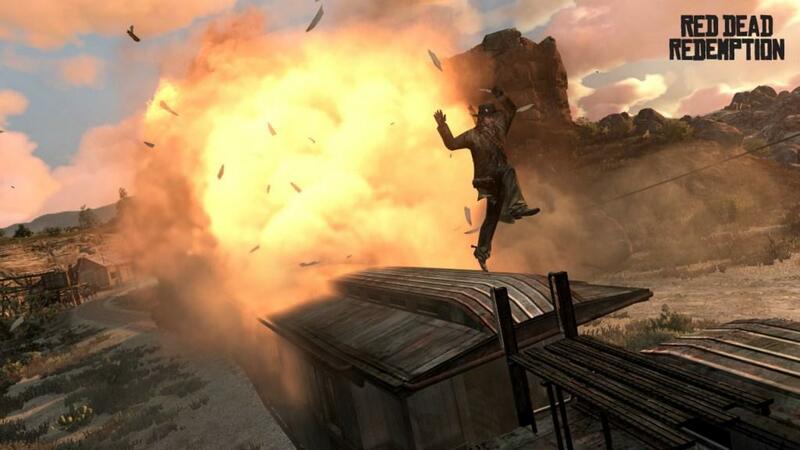 Red Dead Redemption allows you to relive just about every key moments in western fiction, all while also offering fun mini-games and silent movies to watch. 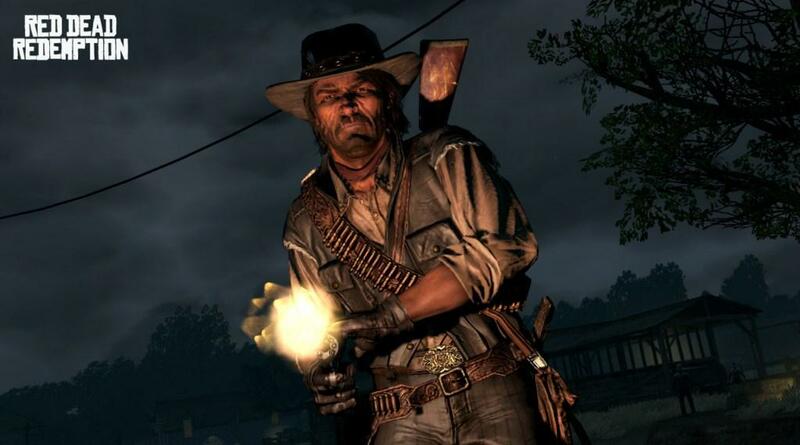 But don't let the obvious references to other western movies and TV shows fool you, Red Dead Redemption offers an original story and setting. For one thing, this western is set well into the 20th century. 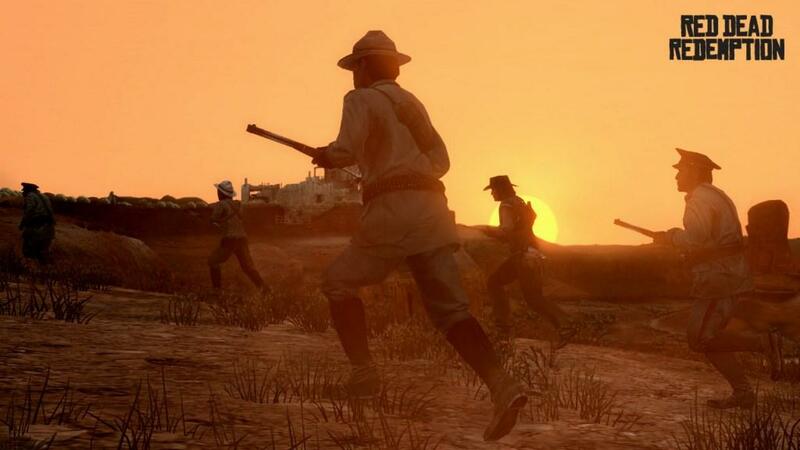 While most western games have you fighting it out in the 1800s, Rockstar's western is set in 1911, at a time when the Wild West was being taken over by modern technology. People talk about the miracle flying airplanes, there are power lines in town, people are starting to use telephones and you'll even see a car or two. This is a game about how the world is changing for many people, and not everybody is happy about that. It's a fascinating time period that is underused in western fiction, including both movies and games. Still, even with the cars and technology, this is still a traditional western. Your trusty steed is your form of transportation and there are still shoot-outs right in the middle of town. The world Red Dead Redemption lives in (which includes the fictional border of Texas and Mexico) is a wide-open area where there are little towns and lots of wilderness to explore. You start out in the United States, tracking down bandits and helping a woman named Bonnie (who is easily Rockstar's strongest female character). However, it won't take long before you're going south of the border to Mexico, where you'll search the deserts and help out in the Mexican Revolution. Eventually you'll make your way to Blackwater, the big city where everything moves a little faster and everybody has more money to flaunt. What really impresses me about the game is how slow-paced the game feels. In other Rockstar Games adventures it's easy to get into the rhythm of going from one mission to the next without spending much time looking at the scenery. Grand Theft Auto IV made it even easier to get around, thanks to the millions of taxi cabs lining the streets of Liberty City. But you don't have that luxury in Red Dead Redemption. In most situations you'll need to ride to your next destination, which can take a little while on horseback (even at full gallop). You'll also need to ride to your destinations in the middle of missions, plus again when you've finished up with your mission. The point is, you're going to be doing a lot of riding. This gives you a lot of time to take in the gorgeous vistas and the mesmerizing landscape that Rockstar's developers have crafted. In a way, this change of pace really helped me feel connected to John Marston and his wild adventures. It also helped me realize just how large and interesting Red Dead's world really is. While this may not be the first western to go for that open-world sandbox game, it's definitely the first to get it right. When I reviewed Activision's GUN, I was disappointed by how small the world was. You could ride across the world in just a few minutes; it felt like it was the size of a sports stadium. That is not the case with Red Dead Redemption. It's going to take you more than fifteen minutes to go from one end to the other, and even then you won't even be close to seeing all there is to see in this world. And just like Rockstar's other open-world games, Red Dead is brought to life with people and animals roaming the landscape. It's hard not to be impressed with how successful the developers were to delivering on the ambitious scope of this Wild West world. The change of scenery also allows Rockstar to deviate a little when it comes to creating missions and introducing new characters. As much as I love Grand Theft Auto, even I will admit that there's a certain amount of repetition associated with the mission structure. Even though they try to change it up, GTA still gets into a rut where you're doing the same things you've done in multiple other games. I didn't have that problem with Red Dead Redemption. While there are a few missions that feel like they could have been in GTA, most of the action feels fresh. Heck, even the traditional stuff feels new thanks to the 1911 setting. I'm struck by just how much I enjoyed the characters this world introduces me to. For the most part, the cast is full of low-lifes and other social outcasts. There's a dirty grave robber who is in search of treasure. There's a drug-addicted professor trying to get by in the big city. We meet a drunk Irishman who seems all too eager to play into stereotypes. From beginning to end, Red Dead is full of colorful characters that range from funny to deadly serious. These are the same types of characters you would see in any other Rockstar title, only I had no problem believing that these characters existed a hundred years ago. 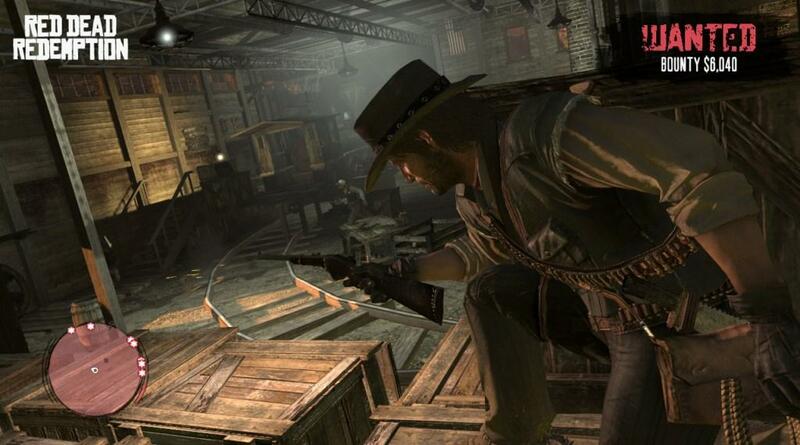 Beyond the 57 missions, this western adventure features a number of cool mini-games. The game comes with poker, blackjack, horseshoes and all kinds of other western-inspired activities. Even more interesting are the hunting challenges, which give you an opportunity to track down specific types of animals and kill them in very specific ways. This means that you'll eventually have to take down a mountain lion with nothing but a knife and a prayer. This, along with tracking down wanted fugitives, will keep you playing long after you're done with the twenty-or-so hours it takes to beat the story. With each new game they make, Rockstar Games is becoming more ambitious with their online offerings. 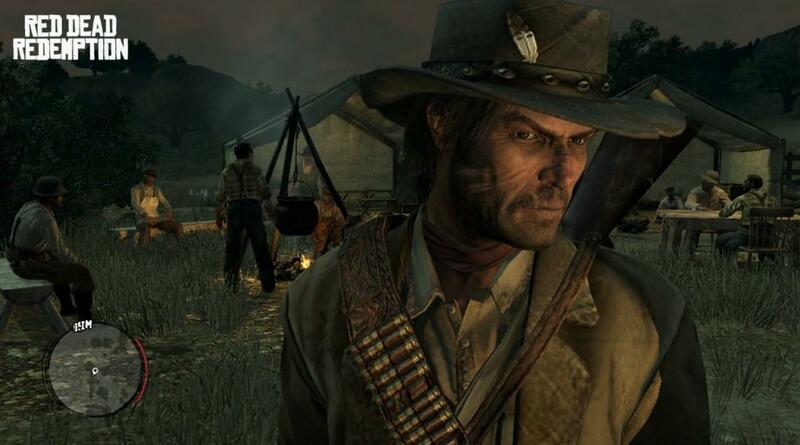 Red Dead Redemption marks the company's most impressive online mode, allowing people to meet up and play inside of the game's gigantic world. 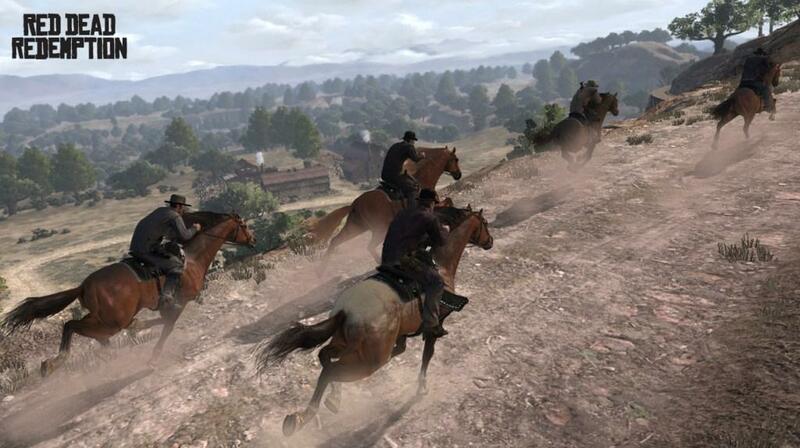 Red Dead supports 16-players online, which includes a number of fun competitive modes. Best of all, coming hot on the heels of the game's release, Rockstar is uploading a special online co-op mode that will include new missions. 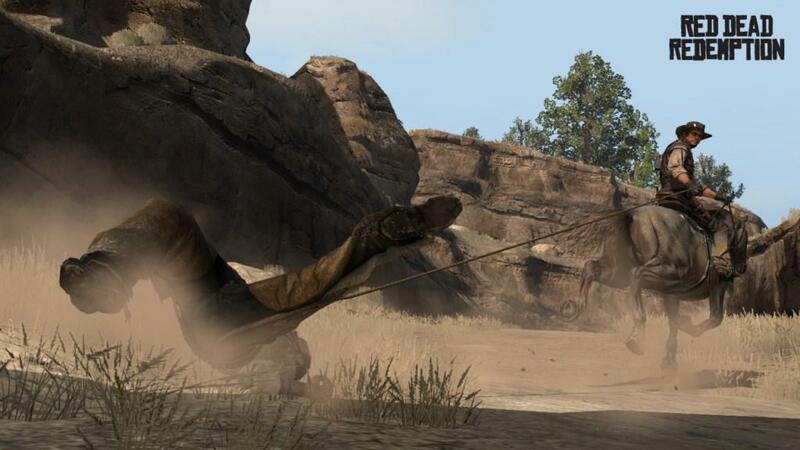 No matter how you shoot it, you're going to get your money's worth with Red Dead Redemption. Visually the game is running on the same engine that powered Grand Theft Auto IV, so many of the same problems people had with that game are apparent here. The characters look a little boxy and we get the occasional stiff animation. However, the style more than makes up for some visual imperfections. Once you get on your horse you'll be amazed by how good the world around you looks. And it's diverse, too. Every inch of the game is unique, which is a hard achievement to pull off when you're playing with nothing but miles of open land. Each town has its own atmosphere and the game gives you more than enough reason to explore the entire map.As good as the graphics are, it's the audio that takes the presentation to another level. 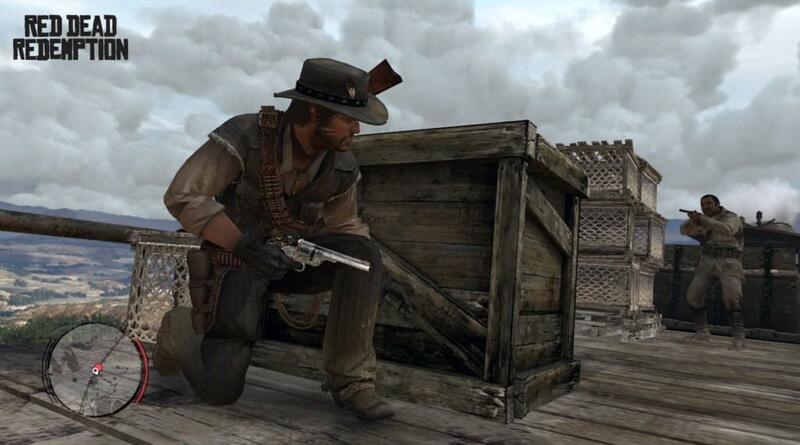 The game takes a minimal approach to the music, dolling out western-themed songs only when it's appropriate. The score is done by Bill Elm of the band Friends of Dean Martinez and it sounds exactly like the incidental music you would hear in a traditional western film. Like a good movie soundtrack, the score works on its own outside of the game. I was so impressed with the audio that I picked up the CD soundtrack. The whole package makes for an authentic western experience, the like I've never seen (or heard) in a video game before. It's hard to imagine a western that is more thorough and downright enjoyable as Red Dead Redemption. 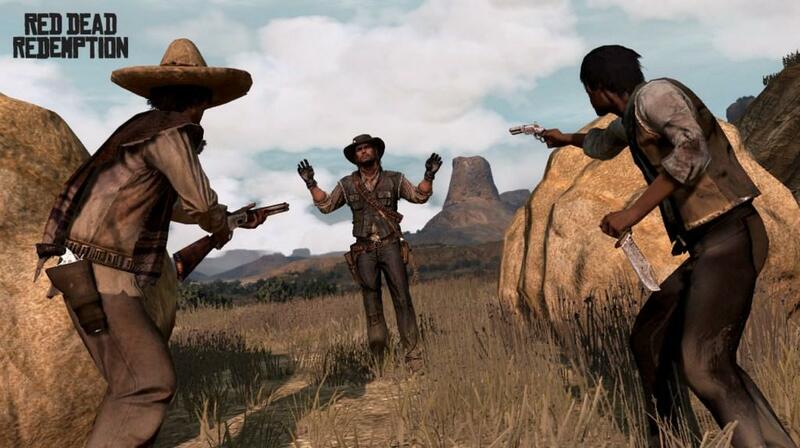 Where so many others have failed, Rockstar Games was able to create an exciting, cohesive package that offers users every great western moment they could think of. Best of all, it does this without sacrificing the great gameplay and deliberate pacing. The events that unfold in Red Dead Redemption will stick with me for years, the narrative is that powerful. Ladies and gentlemen, this is the western we all have been waiting for. Red Dead Redemption is more than a great western, it's the first time this type of game has been successfully recreated for a home game console. Others have tried, but nobody has been able to offer a world as compelling as Rockstar Games. With its lengthy story, exciting characters and fantastic online implementation, Red Dead Redemption is a must-buy for anybody who has always wanted to be a cowboy!